* Please Note — After you sign up you HAVE to confirm the registration to be able to receive this exclusive freebie via MY NEWSLETTER — If you have not received the confirmation email within 24 hrs, please check your spam box OR an incorrect emailed was entered and you will have to register Here again. I can hardly wait to get this, it’s so sweet and the innocence is heart warming. Thank you ahead of time Keren. awwwwwwwwwwwwwwwwwwwwwwwwww it’s Bambi and Thumper and Thumberette and Mr. Bluebird! 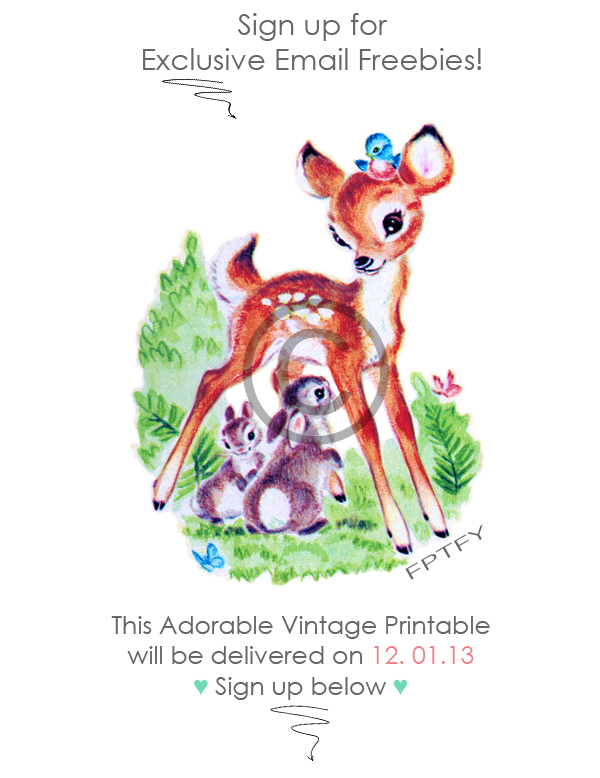 A Free Pretty Things for you Woodland Scene!!!! It’s heavenly!!!! I’m telling you my friend…thank God I am not a diabetic because I would be in a cuteness coma!!!! hugs and love to all!!!!!!!!!!!!!!!!!!!!!!!!!!!!!!!!!!!!!!!!!!!!!!!!!!! !